Our plans for 2014 are still open, but our Programme Page will give details of plans as they emerge. To hear about new workshops and appearances, please sign up to our email list. Emails are occasional so you will not be swamped! Some of the courses run by Shabdan and Shastra through Iona Light are described below or in page links from this page. Please keep an eye out on the Programme Page for scheduled dates or sign up to our mailing list to hear about new additions to the programme. If something catches your eye but is not scheduled, please let us know about your interest - we can always discuss setting up new events if there is enough interest. We also hold small online workshops via Skype (or alternatively by phone or conference call) so that people from outside the UK and people who cannot travel easily due to home commitments can participate in what we have to offer. Key courses like 'In Shambhala Fields', which provides a really useful set of alignments and advanced tools, are available through this medium. Contact us if you are interested in this way of working with us, as courses can be arranged to suit you. For a list of all events in date order, including health fairs and talks and workshops at shows, please see the Programme page. Shabdan developed his work with the Keys of Creation, the Angelic Realms, the Ascended Masters and Shambhala for many years. More recently he has connected with Supra-Consciousness, the Overlighting Devas of Creation and The Moses Light. Some of this work is channelled into workshops of which there are at least three kinds: Training Workshops offering material or attunements, tools and wisdom developed in his Shambhala Heart Ascension School programme; Healing and Development Workshops which are dynamic and respond to the needs of the group that gathers to take part; Experimental Workshops (usually healing retreats) in which Shabdan and his guides try out new ideas to see how well we cope with them! 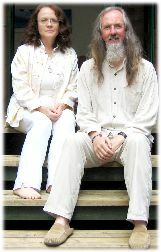 However, in 2014 he is moving in new directions that build on his previous work and experience but move the emphasis much more towards gently facilitating self-realisation, for example through healing music and the creation of exceptional energy spaces which lead the soul to orientate mroe fully towards the light. In the course of 2014 and 2015 we hope that this new direction will manifest in new workshops and events. The Light Key System is a way to work spiritually at home using a range of remarkable spiritual tools that are updated as new discoveries emerge. They are based on the Keys of Creation, and are a chance to hold your own daily self-healing workshop. The W.I.S.E actions that have been taking place on selected full moons since December 2012 offer online mini-workshops in the form of mp3 files thatyou can listen to or download for free, with the bonus that you also contribute to world healing every time yu listen to them. Find them on the W.I.S.E. page on Shabdan's website (opens in a new page). Skype/Telephone Courses: Shastra has been holding individual or small-group Sheh-An-Na-Shan and In Shambhala Fields workshops with participants from the USA and UK, but this can be done wherever there is a Skype or telephone connection, and there are a few more courses that are also suitable for this. Please contact us if you are interested in arranging any of these. For payments by cheque, we ask you to send your deposit together with a balance cheque for a specified date. The deposit is non-returnable, and the balance can be returned up to the date on the cheque - except for residential courses where cancellations can only be refunded if another suitable participant can be found to fill your place (for more information on terms and conditions click here. This enables us to honour financial commitments with venues, saves time, letters/phone calls and energy chasing up balances and uses fewer envelopes, stamps and paper. For electronic payments (BACS in the UK), we ask you to send the deposit and set up the payment/s for the balance for a specified future date at the same time,and let us know you have done so. Again, this saves time in chasing people up. We hope you will support us in this. We are keen to help people participate in our workshops, particularly as they only happen from time to time and are a precious point of contact. For non-residential workshops there may be a few subsidised places available for people on benefit or with low incomes. We also offer Payment Plans in the form of payment in instalments over a longer period to help you spread the cost. Terms and Conditions for Workshops For many years we worked without terms and conditions, but we were sometimes exposed to challenging financial situations when people booked and then cancelled at the last minute, particularly for residential courses. We realised that we needed to have a more formal arrangement with participants in order to allow us to be sure of honouring commitments to venues and to be able to pay our bills. Please read the terms and conditions for both residential and non-residential workshops before you book. By booking with us, you agree to these simple terms.